The Ring Ouzel looks like the Blackbird, but because of its striking white band on the chest (light brown in the female) it is unmistakable. 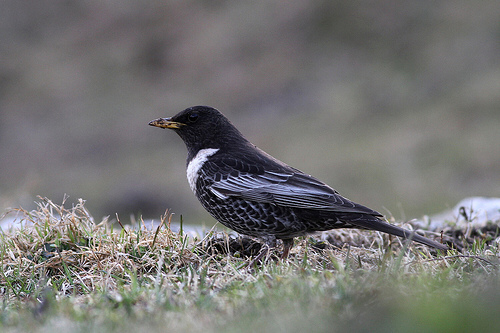 The Ring Ouzel breeds in northern, southern and eastern Europe and is more rare in western Europe. 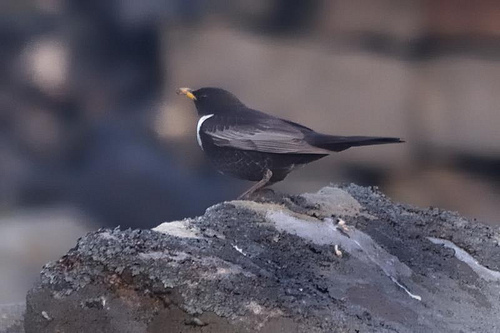 The Ring Ouzel looks like the Blackbird, but has a distinctive white band across the chest.